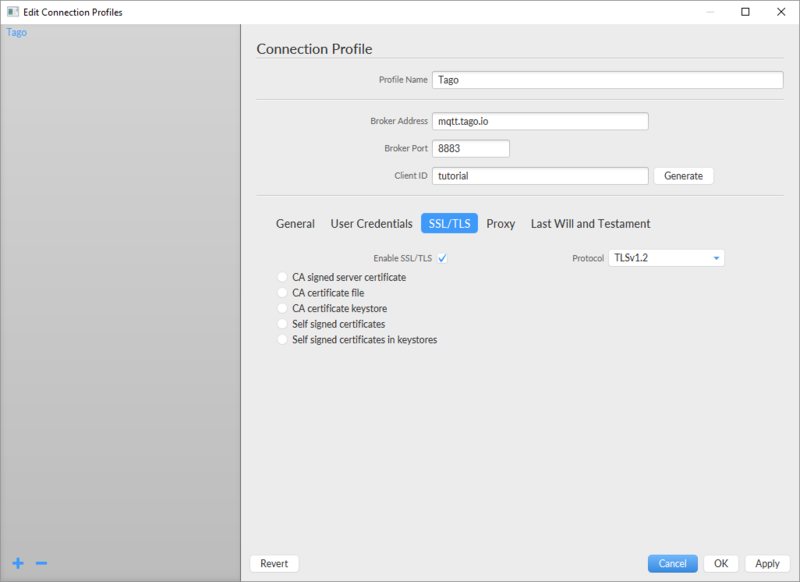 This is a tutorial on how to connect to Tago MQTT and publish to a topic. For this tutorial, we will use the software Mqttfx. To download and learn more about Mqttfx go to their website www.mqttfx.org. If you prefer, watch this tutorial here. To connect to the Tago MQTT and publish to any topic, first, we need to add a device. Go to 'Device' and add a device. Then, go to the section tokens and copy your device-token. To send data to Tago as a device, we need to use the correct topic. 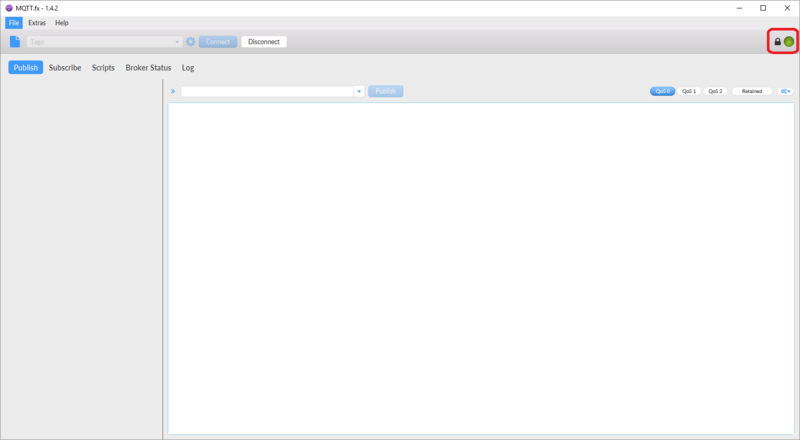 If you go to the MQTT documentation then on the section “Publishing to TagoIO” you can see the default topics. For this tutorial we will use the topic tago/data/post. On the Mqttfx go to the publish section and type the topic url. Now, you need to send the data to Tago, remember that you need to follow the correct data format to be able to post to TagoIO. Click here to check the data format documentation. Copy the code above and paste it on Mqttfx. Then, click Publish. 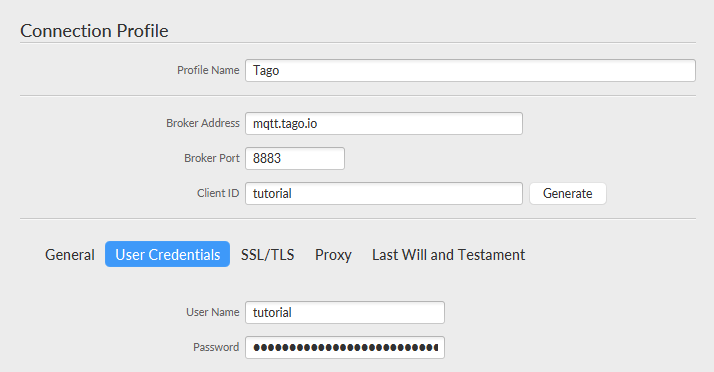 Go back to your account at TagoIO, enter into the Buckets section, then under Variables you will see the variable that you have just sent to tago using MQTT.